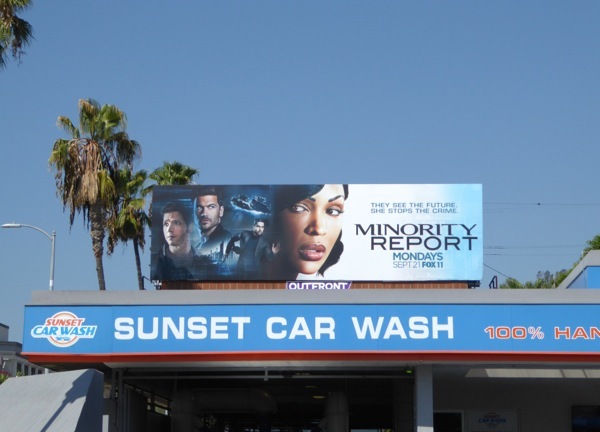 Sci-fi spin-off series Minority Report is the latest offering from Fox hoping to cash in on an established, familiar premise to draw audiences this Fall season, joining the ranks of other network's offerings like Limitless and Uncle Buck, plus the sophomore season of Fargo and third season of Sleepy Hollow (to name but a few of the movie franchises that have made the jump to the small screen). 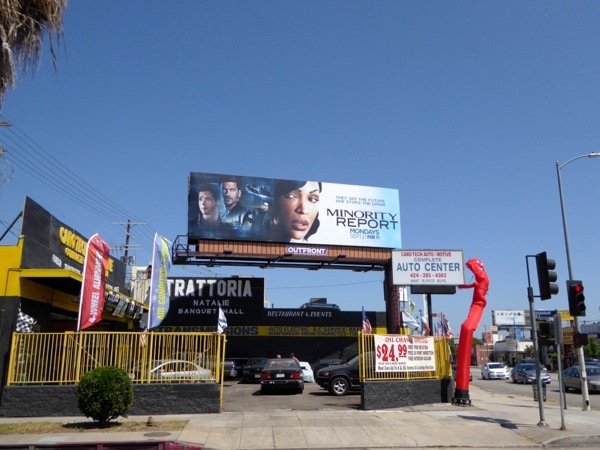 Steven Spielberg's 2002 science fiction thriller starring Tom Cruise was a box office smash, but can this new series set in the same futuristic universe of high-tech gadgets and PreCogs predicting crime, deliver the same high quality, high concepts and high excitement. 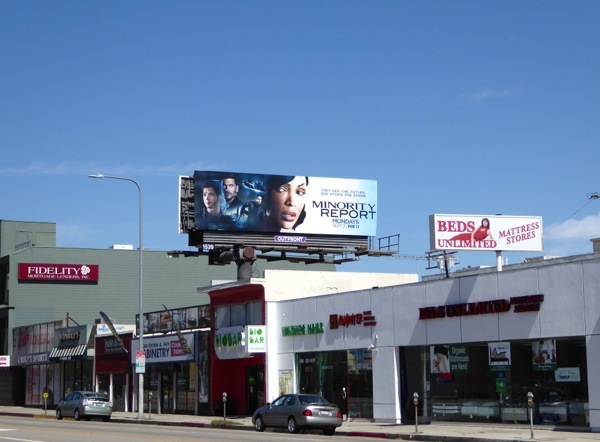 These very cinematic ad creatives for the TV show starring Meagan Good, Wilder Vanderrama and Stark Sands, certainly seem to pay homage to some of the original movie posters featuring Tom Cruise, plus they also remind Daily Billboard of some of these Total Recall movie remake billboards. 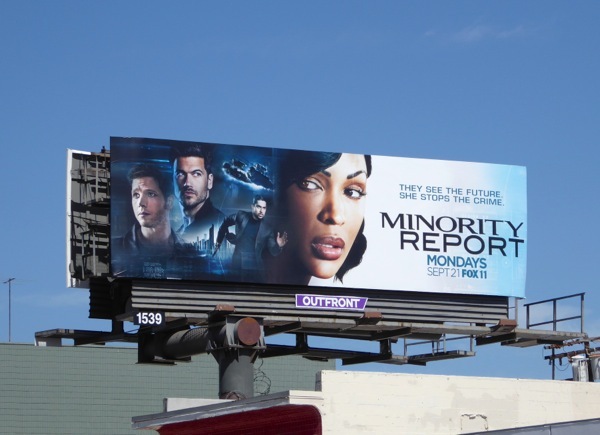 Fox hasn't enjoyed the best success with science fiction shows. 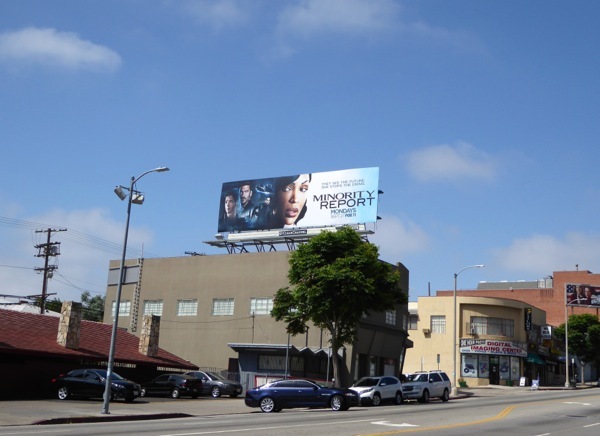 Fringe was excellent, but never found a mainstream audience and Almost Human sadly only lasted one season. Let's hope they have a winning formula with this TV spin-off set ten years after the original in 2065. 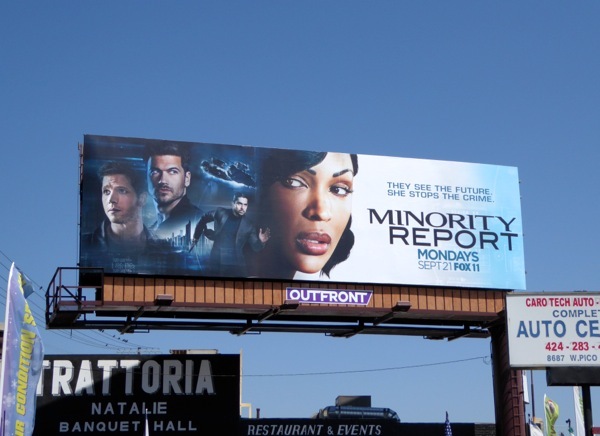 These series premiere billboards for Minority Report were spotted around the streets of L.A. from August 23 to September 6, 2015, including multiple ad locations along Pico Boulevard, Sunset Boulevard and Wilshire Boulevard. 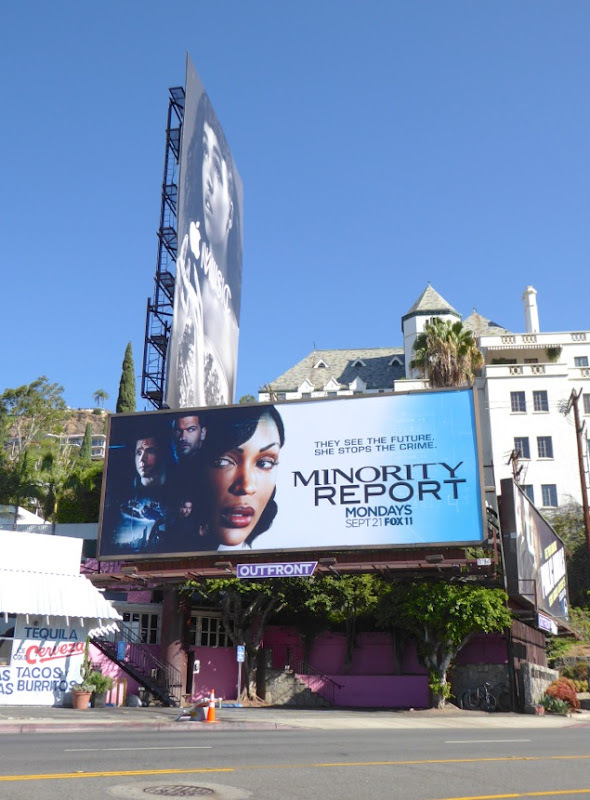 Only time (and audience figures) will tell if the future is bright for the Minority Report TV show, but that's something no one can predict (unless they were psychic, of course).